All RaceQuip harness systems are constructed using drop-forged steel hardware for ultimate strength and reduced weight. All hardware is cadmium plated for added protection. 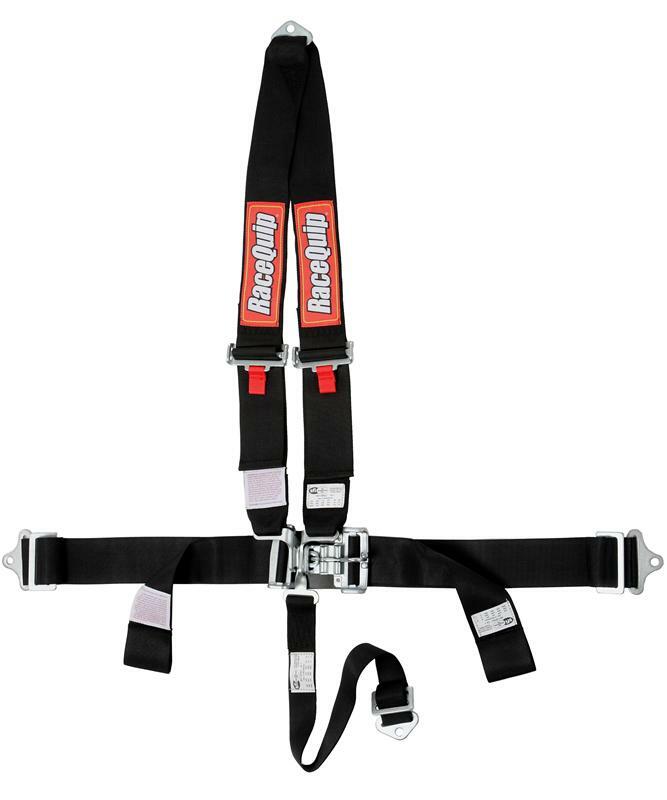 RaceQuip uses only 3” premium polyester webbing and all belts are box-x pattern sewn to ensure uniform stitch length and strength. Belts and hardware are routinely tested to verify compliance with SFI 16.1 standards. 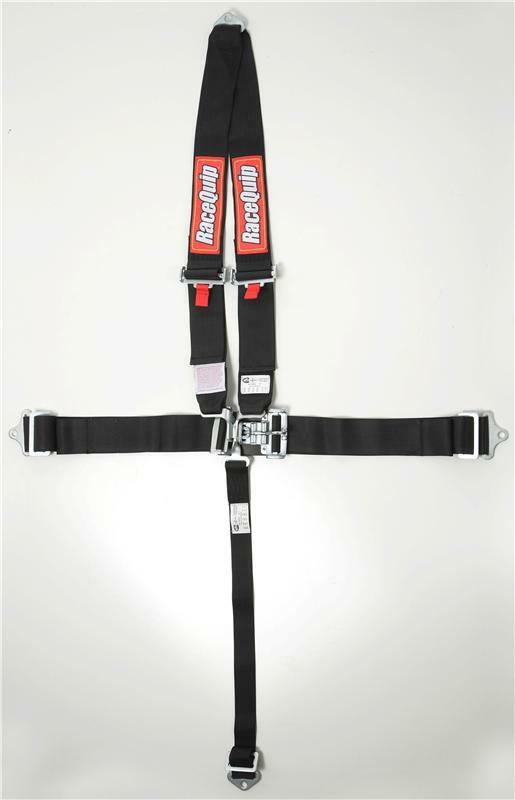 All RaceQuip harness sets feature a latch & link system to retain the belts. The latch & link system is distinguished by a pivoting “hammer,” called a Duckbill, which locks all of the belts into place by snapping down into a detent. Both shoulder belts and the sub-belt are hooked over the link; the link is inserted into the latch; the Duckbill is then brought down into and over the link, securely holding all of the pieces in place. Harness systems come as a “pull down” design and mount to a single point behind the driver. This means that the lap belts must be pulled down and away from the center latch & link mechanism to tighten. 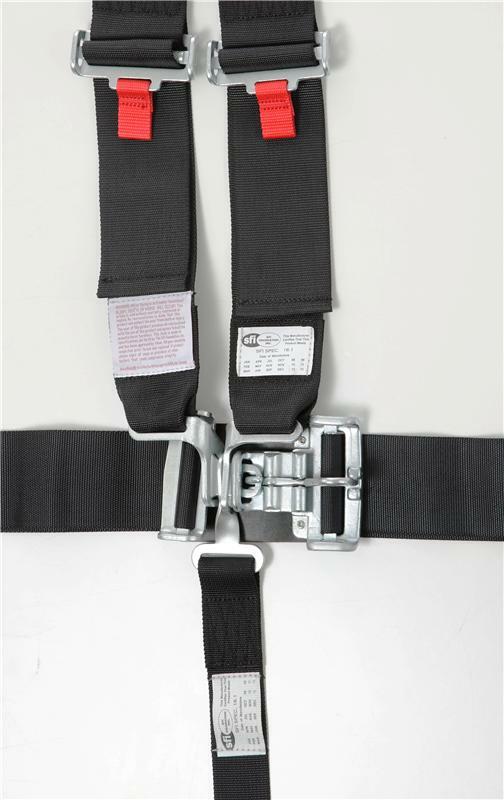 Since RaceQuip belts are “double adjustable”, lengths are easily adjusted on either end for ease of installation. Using the included three bar slide you can mount the belts by either wrapping them around a rollbar or by bolting them in place. Snap-in ends and eyebolts are sold separately if user wishes to install belts in that manner.